Let the countdown to spring begin! Around this time last year I had a real obsession with anything pastel color. 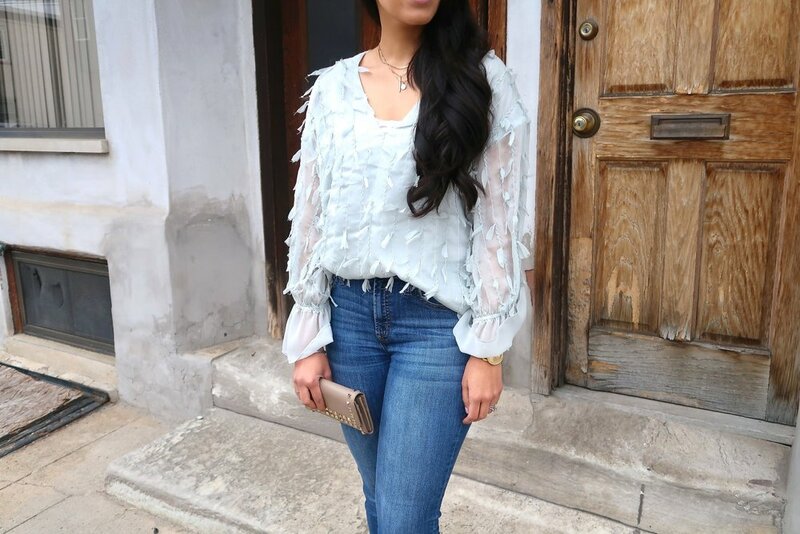 And lately, I’ve had such an obsession with pink that it feels soo good to switch things up and to wear something unexpected such as this mint fringe blouse! 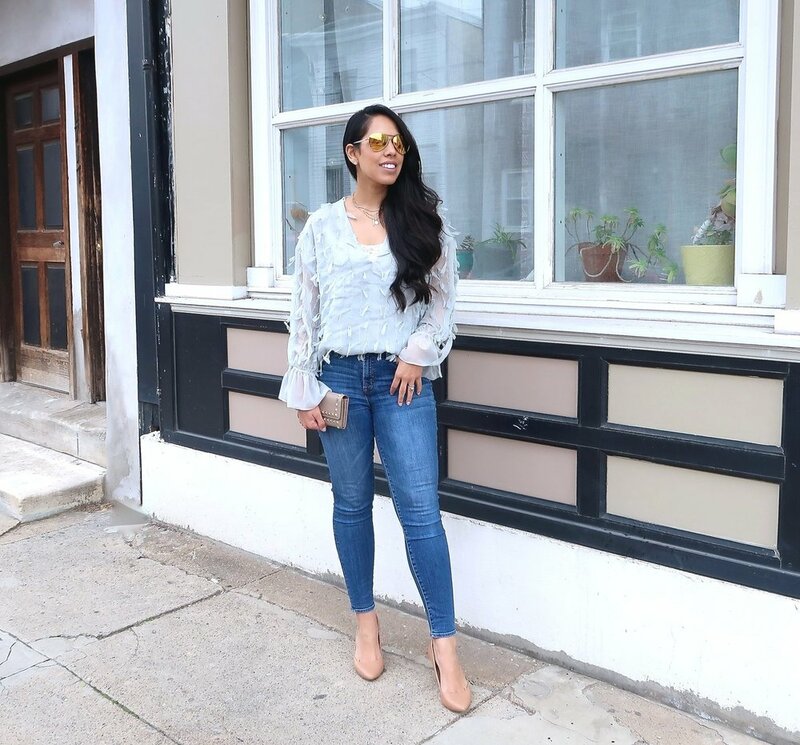 Spring is only 12 days away and I am seriously getting my wardrobe ready for spring! 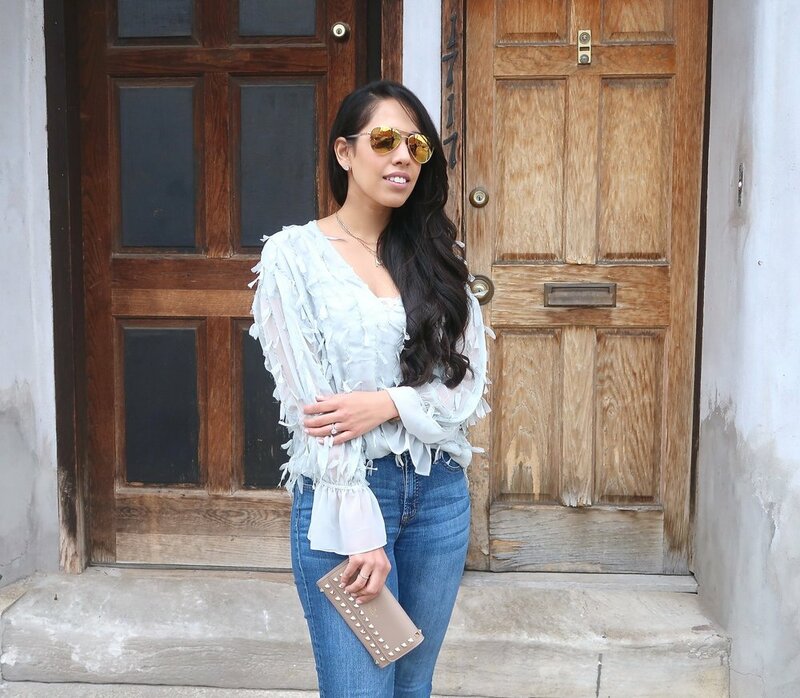 Check out my favorite mint pieces below! Happy Monday loves! Today I felt like wearing a fun, lace dress to work. The dress in itself is quite a statement with a cute floral cotton design, a flattering flare silhouette and an empire waist seaming. The dress is also the perfect amount of sleeveless for those who have a corporate job like me. 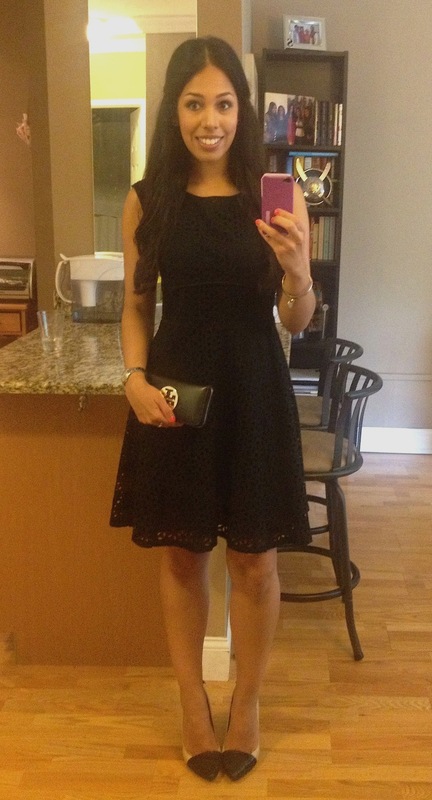 I can see myself wearing this dress to so many different occasions – work, out to dinner, at a party, or a wedding... The options are endless! The back of the dress has a keyhole detail with a back neck button closure. Also, my favorite part of the dress is the exposed back zip with oversized grosgrain tie. 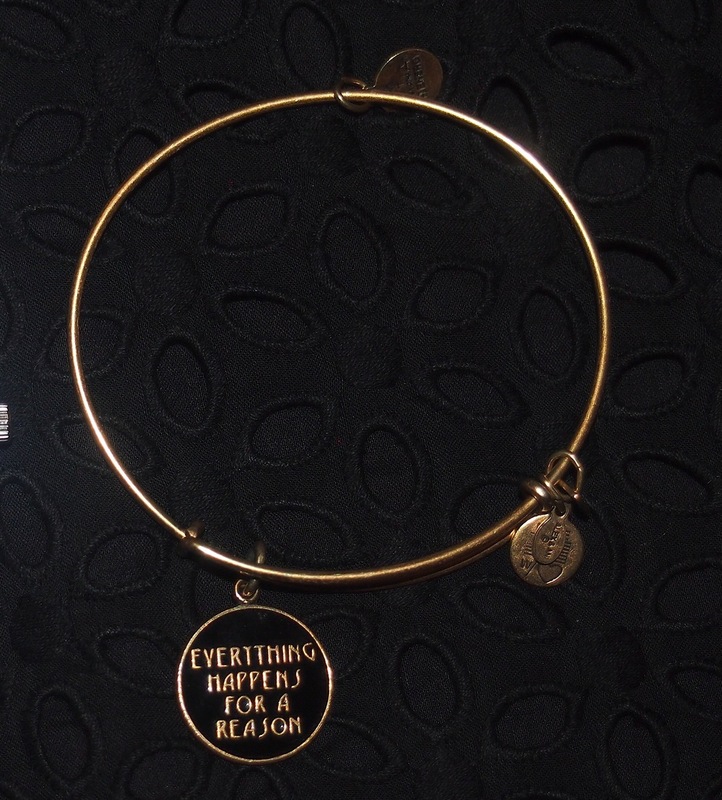 Here is my Alex and Ani bangle with one of my all time favorite quotes! How cute is this?! A few weekends ago I attended a reception in which I decided to wear a fancy, very colorful, and bright anarkali suit since I hadn't dressed up in Indian clothing or even attended an Indian wedding since last year. Anarkalis are usually worn during party occasions which make you look and feel glamourous. 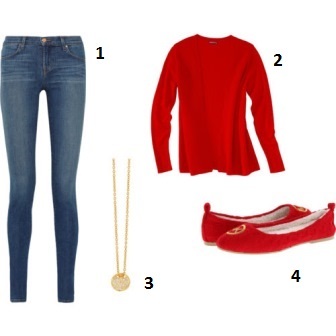 These outfits are extremely stylish and are also very comfortable. There are so many different colors, styles, out there - the options are endless! So what exactly is an anarkali? An anarkali suit is basically a long frock which is tighter in the chest area and then flares out towards the bottom. The pants that you pair with the anarkali suit are tight like leggings. The sleeves are usually made out of a net material. 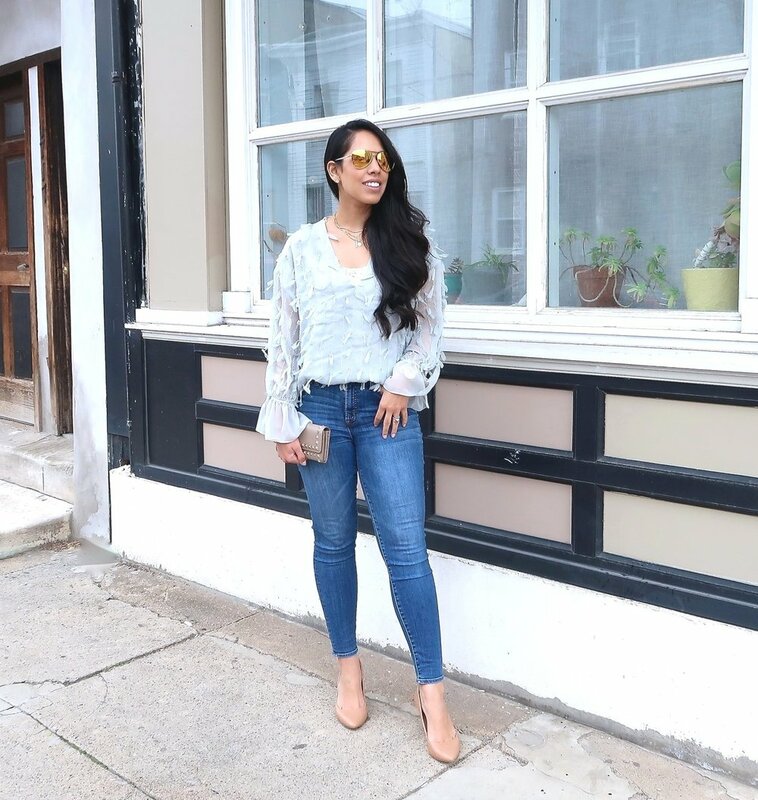 Sleeve length can be anywhere from long sleeves, three-quarter sleeves, or half sleeve. It's really whatever your preference is. The outfit I wore is absolutely stunning and pictures don't do it justice. The mixture of hot pink, purple, turquoise, and blue colors mixed in with gold coloring is very beautiful. The detail on the neck area is stunning specifically with the colored beading along with the gold and silver beading. Since the neck and chest area were heavily beaded, I decided to not wear a necklace and went with dangling earrings instead. I also wore purple and gold colored bangles and also gold colored heels. I also decided to keep the hair simple yet elegant in a low bun. I loved the way my hair came out! It's basically two buns made to look like one large bun. I did a side part with it also. This hairstyle looks like you spent a lot of time on it but in all actuality it only took me about 10-15 minutes! I hope you guys like the outfit! Also if any of you guys would like to see a hair tutorial in the future please let me know by using the comment section!